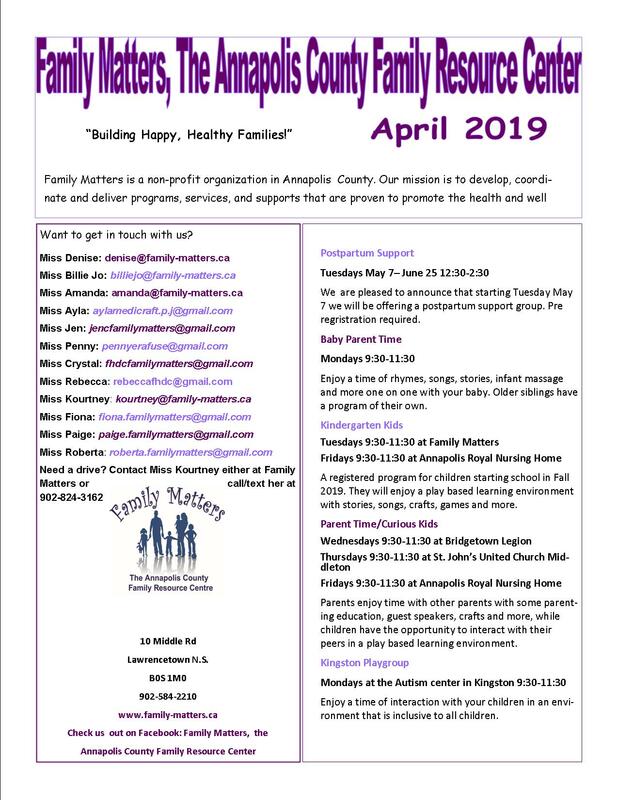 With the help of Department of Community Services, Family Matters is pleased to be able to provide Annapolis and Digby Counties with the Family Matters Family Home Day Care Agency. Why Should You Get Approved ? Did we mention that all this and more is free? In Need of a Child Care Provider? Are you looking for a child care provider? Contact us for a list of Agency approved daycares in the area. Relax knowing that your child or children are in a standardized and monitored environment that provides the family-like setting you want for your children.All our Family Home Day Care Providers are carefully screened with Child Abuse Registry Checks, Criminal Record Checks, current First Aid Certification with CPRC, reference checks and continuous training and on going monitoring to assure safe and nurturing care is provided at all times. Looking to open your own family home daycare? We can provide you with the information you need to get started. There are great benefits of opening your own, for example being able to stay home with your children and still bring in a full time income. We are looking to recruit care providers to fill the growing need for care for infants as well as muti-ages.